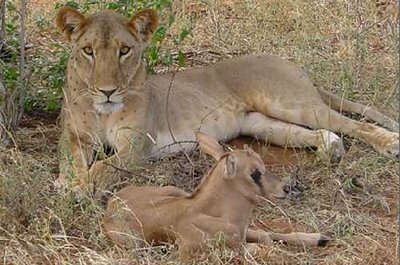 Lion can show so much love to a deer calf? I am totally surprised. Just wondering what it wod have gone through while another lion ate it. Man with his 6 senses cannot respect his fellow human beings. Also read ur dhyanalingam piece. Such a lovely place, no. I was there for a while it is so peaceful. Sometimes my disturbed mind could not bear the silence. I love this post! Beings are beings everywhere I guess! I am slowly learning that even in times of "betrayal" there is something there for me to learn!